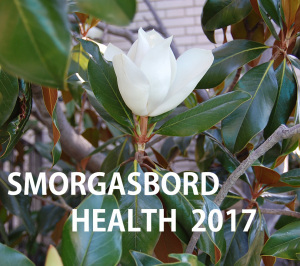 Smorgasbord Health 2017 – Before you begin that crash diet in the New Year! Sally Cronin is a nutritional therapist with years of experience. She developed her own comprehensive approach to weight reduction when it became critical for her personally. This article is the introduction to a series she will be featuring on her blog. Her book, Size Matters, is a superb reference and guide for anyone wishing to reduce their weight. I will be repeating my weight reduction programme again in 2017. The programme is designed around your body’s needs rather than your desire to get into a size or two smaller. From a nutritional perspective it is vital that when you are removing unwanted weight that you still provide your body with the nutrients that are essential for health. However before you make plans to buy the latest wonder diet products you might like to read this first. You can reduce weight healthily and safely and a great deal cheaper by cooking from scratch and by taking moderate exercise.